LG Electronics announced Thursday its upcoming flagship smartphone G8 ThinQ model will adopt a three-dimensional sensor Time of Flight, known as ToF, to provide face identity authentication and a better front-facing camera quality. The ToF sensor will be supplied by German semiconductor solutions provider Infinion Technologies, the Korean tech giant said. Infinion, which posted sales of 9.7 trillion ($8.63 billion) won last year, is a leader in the sensor solutions market for digital security. The announcement confirms that LG will for the first time install 3D facial identity authentication function on its latest flagship smartphone model. The firm’s ToF sensor to be installed on the front face of the G8 smartphone will enable recognizing objects in 3D, which quickens the response time in face ID verification and other biometric solutions. 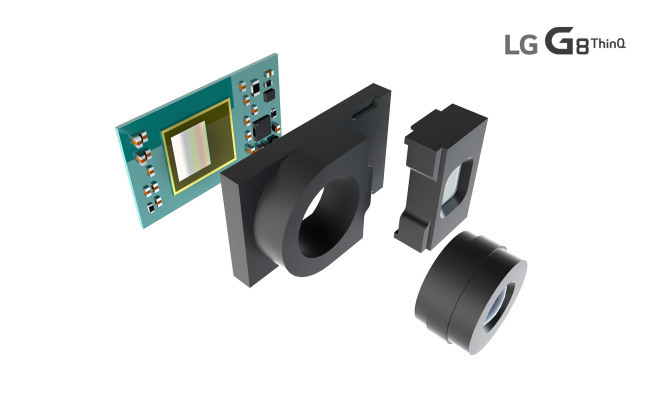 “LG will focus on improving utilization of the G8 smartphone by adopting the ToF sensor,” a company official said. With the sensor, the front-facing camera will be able to discern an object from the background in a more meticulous manner, offering a better out-of-focus effect, the firm said. Slated for debut on Feb. 24 in Barcelona, the G8 ThinQ is expected to feature a hand gesture-controlled user interface that would do without the current screen touch.